In Week 8, Lancaster University students will be asked to exercise their democratic right to vote, to have a say on proposals that would significantly change the current structure of the Students’ Union Full-Time Officers (FTOs) Team. 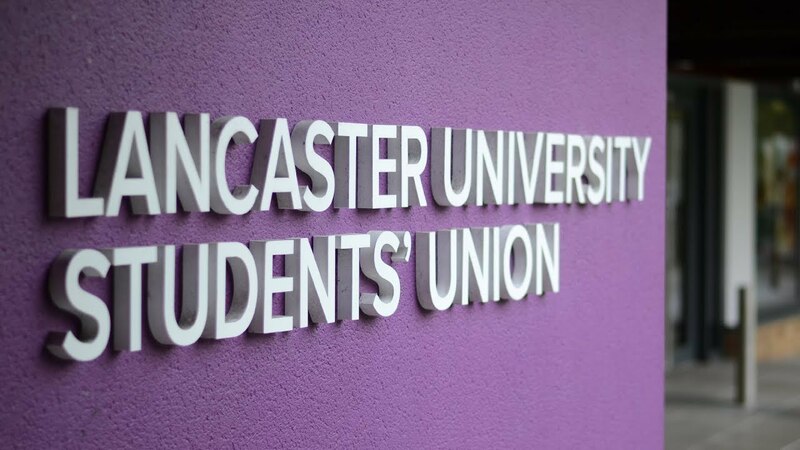 The announced proposals are the result of an Officer Review conducted with the help of the National Union of Students (NUS), as well as the product of 18 months of conversations between the Lancaster University Students’ Union and Lancaster University students on the matter. The underlying reason behind said review can be found in the need of the Union to ensure that FTOs are representative of their student population and of students’ needs. Currently, the FTOs’ structure sees a team of six individuals: the President and five Vice-Presidents who are responsible for Welfare & Community, Activities, Education, Campaigns & Communications, and Union Development. With the proposed plans, on the other hand, the team will be reduced to five members and the roles of FTOs will symbolically change. The new structure sees the presence of a President and four Officers, rather than Vice Presidents, who will be responsible for Education, Welfare, Activities and Postgraduates. Notably, the proposed new structure sees the introduction of a Postgraduate Officer. Among their duties, they would be looking into postgraduate education, welfare policy and campaigns, as well as promoting union activities and opportunities for postgraduate students, and would actively work on postgraduate students’ inclusion within the Lancaster community. Should the suggested proposals be adopted, however, the roles of Vice-President Union Development and Vice-President Campaigns & Communications will disappear. According to the description of the new structure available on the Union’s website, their current duties seem to have been spread out among the new officers. For instance, each officer will be in charge of the campaigns that would need to be run in their own fields. However, despite the potential benefits and reassurance provided by the FTOs on the proposed changes, concerns have been raised in relation to a potential ‘over-working’ and ‘under-performing’ situation. In particular, it has been doubted whether increasing the number of duties that each officer will have will be functional and feasible. Considerable attention has been directed towards the Activities Officer, due to the substantial changes that this role will be experiencing. The current Vice-President Activities is in charge of representing students’ in the University’s clubs, societies and colleges, as well as encouraging participation at all levels. Within their duties, moreover, there is the annual organisation of the Roses tournament. However, the Activities Officer role appears to significantly change in the new proposals. The new main tasks of the Activities Officer would mainly concern liaising with the University and external partners on matters relating to student opportunities, championing increase in and diversity of participation in opportunities, as well as lobbying on student sporting and health provisions. According to the proposal, FTOs from 2019-20 will collectively work to protect the Union’s values, thus ensuring the promotion of Equality and Diversity, championing democracy, supporting the College officers’ network, and working on a more sustainable Students’ Union. As said proposals are, effectively, the final stage of an Officer Review process, in order to go ahead, a referendum will have to take place. In Week 8, therefore, students will be asked “Should the Students’ Union adopt the changes to the Full-Time Officer Team?”. There will be an option to answer “Yes”, “No”, or “Abstain”. For the changes to happen, a 10% turnout is required and a simple majority, meaning just over 50% of voters, is needed. Should students vote “No” in the upcoming referendum, this will be considered as the final decision on the matter. Voting for the referendum will be taking place in Week 8, alongside College JCR Executive elections. Should the changes be agreed upon by the students, these will start taking place from the next academic year. Therefore, during the FTOs elections in March 2019, people would be running to be part of a team that follows the new structure.